Provantage Media Group is proud to have partnered with the prestigious APEX awards hosted the by the Association for Communication and Advertising yet again in 2018. The APEX programme is aligned to Provantage Media Group’s values and principles of efficacy and of transformation as well as the upliftment of the youth. This is a partnership that PMG is extremely proud of as it is the most sought after award in the industry from a business perspective. Through celebrating and awarding creative effectiveness, APEX highlights the fact that the broader marketing and communications sector delivers and is key to business success. 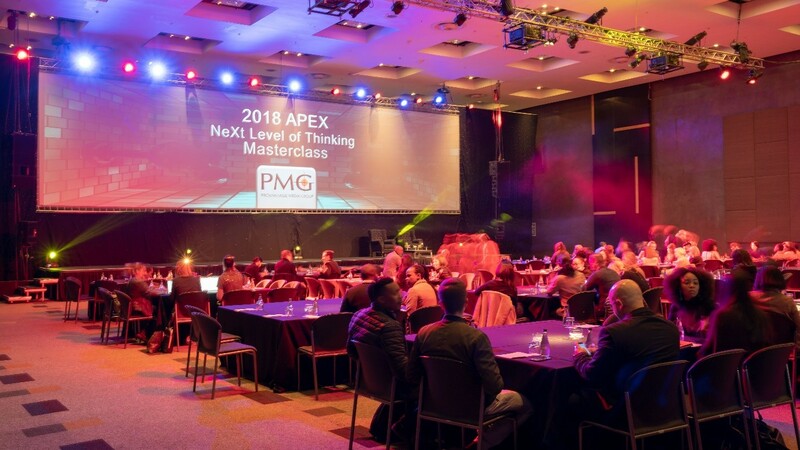 As was the case with 2017, as Key Partner, PMG was afforded the opportunity to once more be the official brand behind the highly respected APEX NeXt Level of Thinking Masterclass. This year the speakers, tapping into effectiveness in marketing and communications campaigns, looked at a topic which we believe is critical in terms of the narrative of the South African broader marketing and communications, that of diversity. Furthermore, the topics of AI and technology and how they continue to impact the communications environment were highlighted. 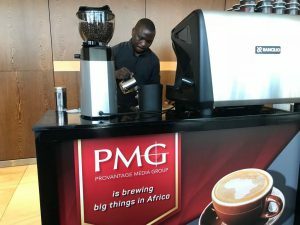 But before delegates were welcomed by Talk Show host and Champion South Africa Founder Ashraf Garda, attendees were offered a light breakfast and enticed by the aroma of freshly extracted 100% pure African Arabica coffees at the PMG coffee station. 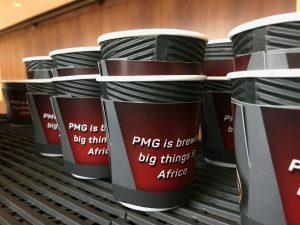 Using the opportunity to highlight PMG’s further expansion into the African continent, a PMG branded coffee station provided delegates with a hot and much needed coffee fix as the event kicked off on an unusually cold Highveld morning. The morning event was followed by the Gala Awards Ceremony in the evening where the most effective campaigns were announced in two categories namely The ABInBev Launch Category and The PMG Change Category. A Kantar Millward Brown special award was also handed out for a campaign that demonstrated the most ingenious response to limited advertising or research funds. APEX awards the work that works and celebrates campaigns that have a positive effect on return on investment. It is with great pride that this year a campaign which PMG was involved in won two APEX awards. The NSPCA ‘Dog Fight’ campaign from Grey South Africa received a Bronze APEX and also an APEX Special Award. 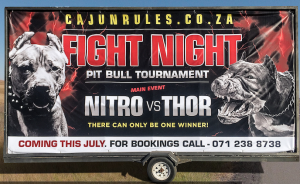 The campaign which flighted on PMG’s Trailer offering resulted in massive awareness and impact, with the response received far beyond what was expected. Placed on only one trailer, and strategically positioned, the campaign had an initial message, with a follow up message scheduled to be announced 5 days later. This however was not the case as the second message had to be announced within mere hours of the campaign going live. 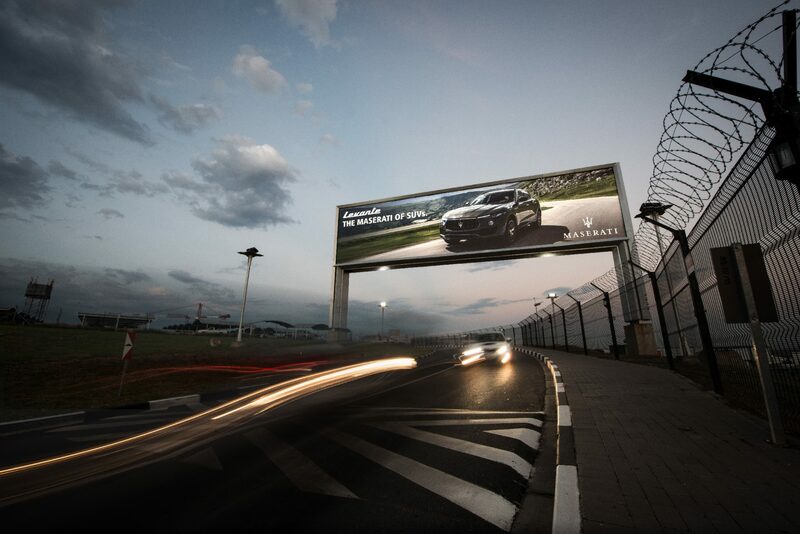 PMG is proud to be associated with such a creatively effective campaign, one that demonstrates not only the value that marketing and communications campaigns bring to brands, but one that highlights the efficacy and value proposition offered by Out-of-Home as a media channel. The APEX Bursary Scheme has been an integral part of the awards programme since 2010 and it was an honour as Key Partner to once more have an opportunity to contribute toward the APEX Bursary scheme which ensures that deserving PDI students are provided the opportunity to complete their studies and enter the world of marketing communications. This year eight bursaries were handed out, bringing the total number of bursaries since 2010 to eighty – a fantastic achievement. PMG prides itself on providing a service offering that delivers relevant and effective marketing and advertising solutions within the Out-of-Home environment. Through continued and extensive investment in human resources, product offering and research, Provantage Media Group continues to bolster its prominence and leadership within the industry. It is this importance that PMG places on efficacy which ensures that the partnership with the APEX awards is one rooted in our own beliefs and actions, and in encouraging brands to keep targeting effective campaigns at all times.